Simon is a leading name in employers’ liability personal injury claims on the North Eastern Circuit. He is especially well regarded for his enthusiasm and proficiency in the niche discipline of occupational stress. Renowned as a fearless trial advocate, he has achieved successful outcomes in claims arising from psychiatric injuries caused by breaches of contract, bullying, discrimination, harassment (both s.26 Equality Act 2010 and Protection from Harassment Act 1997 claims), nervous shock, overwork and protected disclosures. As well as psychiatric injury claims, Simon is known for his interest in chronic pain conditions that typically involve a psychological component, such as Complex Regional Pain Syndrome (C.R.P.S. ), Fibromyalgia, Somatic Symptom Disorder, neuropathic pain and Myalgic Encephalomyelitis (M.E.). In particular, he has considerable experience of effectively adopting a multidisciplinary approach both to establishing and challenging chronic pain claims, including the identification of exaggerated or false claims. “A well-regarded industrial disease specialist.” – The Legal 500, 2014 (PI & clinical negligence). The Legal 500 has described Simon as “A ferocious cross-examiner” (2014). “An excellent advocate” with “an effective individual style” (2012). Simon is popular with claimants and is noted for his excellent client care skills, particularly with individuals who have suffered life-altering psychological harm. Whether in conference or cross-examination, engaging with forensic psychiatric experts comes as second nature, as likewise does drafting high-value schedules of loss that span the remainder of a person’s working and pensionable life. 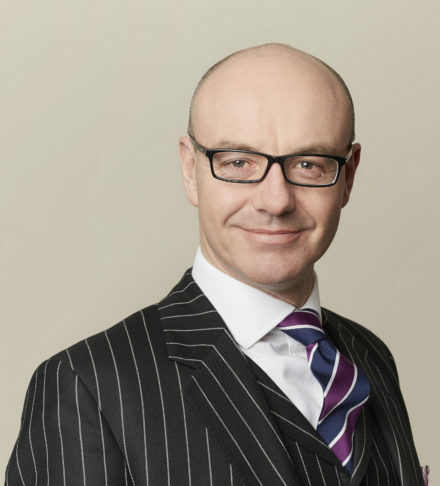 Having background in both personal injury and employment law makes Simon especially well-suited to advise on jurisdictional issues including limitation, alternative causes of action, cause of action and issue estoppel, damages and costs. As a training provider he delivers seminars for solicitors specialising in psychiatric injury litigation, and has hosted stress related health and safety courses for managers in the public sector and in industry. He is instructed nationally by leading disease firms. Occupational stress aside, he has a strong practice in other disease claims including pulmonary and skin conditions, hand arm vibration syndrome (HAVS) and noise induced hearing loss (NIHL). For many years he successfully defended public liability housing, highways and occupiers’ claims. Simon is viewed as an expert on limitation in the context of personal injury litigation, and is naturally proficient in all areas of civil procedure. Simon is a contributor to Butterworth’s Personal Injury Litigation Service and has his own dedicated stress website called The Stress Lawyer. Byron v Direct Interior Solutions  – Acted for the successful claimant in a Protection from Harassment Act 1997 bullying claim in which his Christian client was subjected to a mock crucifixion on the shop floor. Damages of £85,000 agreed. Carroll v Chief Constable GMP  – Appeared for the successful respondent on appeal in a complex occupational stress claim. This is the lead authority on the practical application of s.33 LA 1980. Dorey v CFBT Education Trust  – ‘First breakdown’ claim by an over worked Head Teacher. Settled for £100,000. Brzoskowska v Preston  – Serious femoral degloving injury arising from a road traffic accident. Damages of £200,000 agreed. Sajid v West Yorkshire Police  – Head injury resulting from a police motorcycle pursuit. Damages of £150,000 agreed. Rawnsley v Bradford College  – ‘First breakdown’ perceived bullying claim. Succeeded at trial. Damages of £160,000 awarded. Kelly v City of Bradford MDC  – Serious below the knee leg injury in consequence of a fall from step ladders. Damages of £200,000 agreed. Senior v Kennet  – Below the knee leg amputation caused by an excavator. Willgoose v Shepherd Engineering Ltd.  – Over worked construction project manager. Damages of £75,000 agreed. Thomas v University of Leeds  – Occupational stress claim relating to overbearing and inadequate management. Damages agreed. Morton v Suddaby  – Psychiatric injury resulting from assault by employer on work (retail) premises. Damages of £15,000 awarded. Reynolds v Leeds City Council  – Education support worker attacked by a truanting pupil leading to nervous shock. Damages of £120,000 agreed. Deans v Isand Ltd.  – Assault by a service user in an adult care home setting. Casey v West Yorkshire Fire and Rescue Authority  – ‘First breakdown’ (perceived bullying) stress claim in which the Claimant later learned that he was the subject of private surveillance. Damages of £55,000 agreed. Singh v Habib  – Court of Appeal authority for the proposition that the Ladd v Marshall criteria need not be strictly applied where there is a public policy interest (i.e. allegations of fraud) in new evidence being admitted. Khan v City of Bradford MDC  – Stress claim arising from the breach of the implied term of mutual trust and confidence in which the Claimant had been placed under directed surveillance whilst on sick leave with a stress related complaint. Simon may accept Public Access work, where he can be instructed directly by a member of the public rather than a solicitor. Simon Anderson’s employment law practice encompasses all aspects of individual employment litigation, including contractual disputes, unfair and wrongful dismissal, redundancy, the transfer of undertakings, protected disclosures and equality claims. He has also been involved in professional disciplinary hearings and local-authority health & safety notice appeals. Simon is highly regarded for his ability in claims relating to discrimination, victimisation, bullying and harassment. A complementary background in personal injury law also enables him to offer comprehensive practical and tactical advice in the specialist field of occupational stress. He is experienced in managing lengthy multi-party tribunal hearings featuring complex issues of fact and law, conflicting expert medical evidence, high-value schedules of loss, and jurisdictional points. Simon has had High Court involvement in executive-pay claims and the enforcement of post-termination restrictive covenants, including obtaining interim injunctive relief. He has notably acted for solicitors threatened with proceedings in the tort of conspiracy resulting from recruitment. Simon has also been involved in claims based in contract and misrepresentation for losses sustained as a consequence of an employee’s breach of the implied duty to take care. Simon is a member of the Employment Lawyers Association and has presented lectures and seminars on such topics as appeals to the EAT, extending the jurisdiction of the employment tribunal, the transfer of undertakings and the recovery of costs. Halim v University of Huddersfield  – Fundamentally dishonest disability discrimination and reasonable adjustments claim made by an employment law lecturer. Bramham v UFP Ltd  – Whether suspected diabetic neuropathy satisfied the definition of disability in a discrimination and reasonable adjustments claim. Knight v Dignity Funerals Ltd  – Sexual harassment and assault of a female in a funeral parlour. Khan v Bradford Metropolitan District Council  – Constructive dismissal claim arising from the surveillance of an employee absent with a psychological injury. Personal injury claim made in subsequent proceedings arising from the same facts. Simon Anderson discusses MacKenzie v Alcoa Manufacturing (GB) Limited  EWHC 149. Can a claim for noise induced hearing loss succeed when the absence of noise surveys leads to inconclusive or even unfavourable acoustic engineering evidence? Yes, according to Mr Justice Garnham in MacKenzie v Alcoa Manufacturing (GB) Limited  EWHC 149. Simon Anderson has provided expert analysis on Radio 5 Live this morning following the Court of Appeal Judgment on a high profile Non-disclosure agreement.